— We make friends around the dinner table. 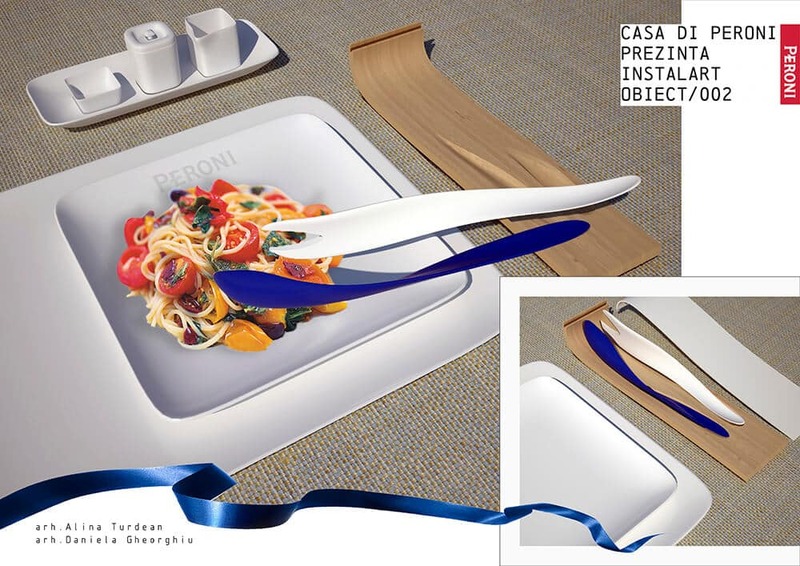 We also get to know each other, share and savor together the entire dining experience. 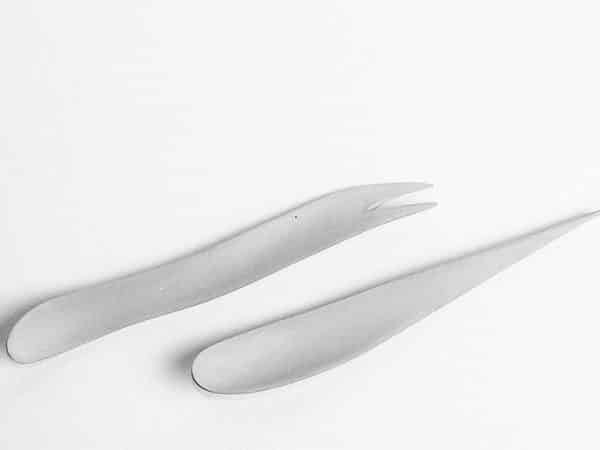 This whole experience is complemented by the instruments that are meant to help us along. 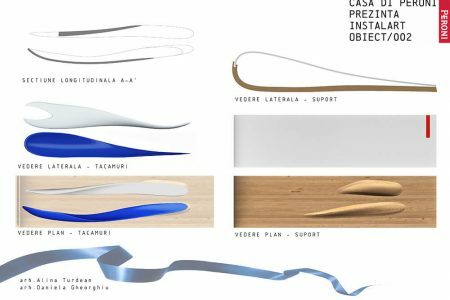 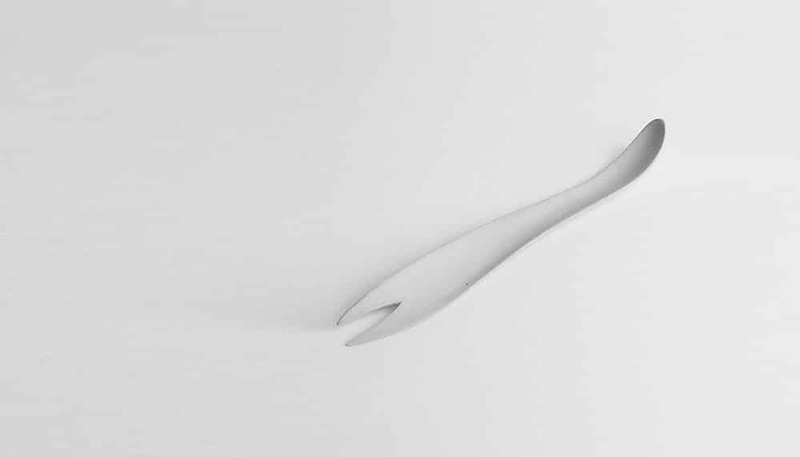 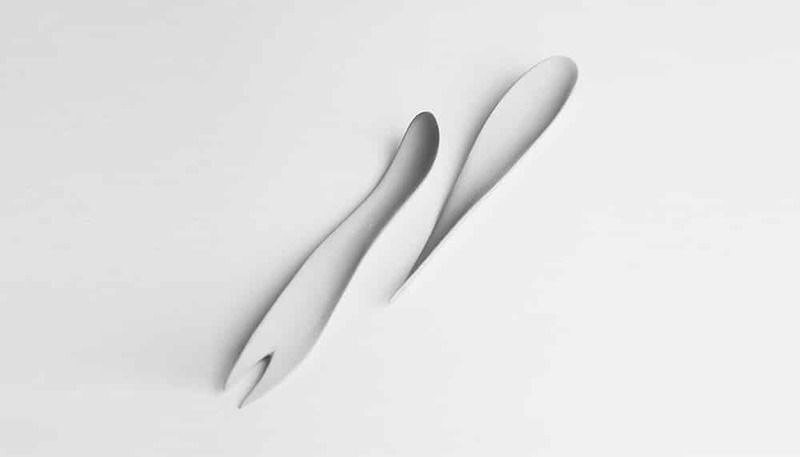 Therefore we combine the elegance of organic forms together with ergonomically coordinates and multi-functionality in order to create cutlery that contributes to that whole dining experience. 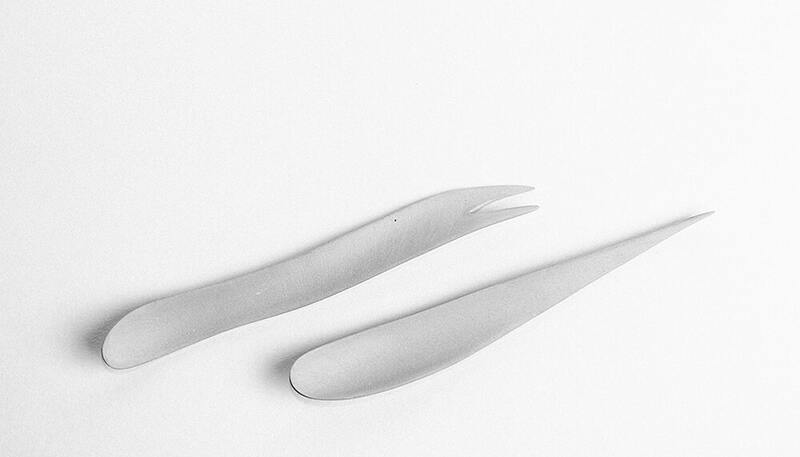 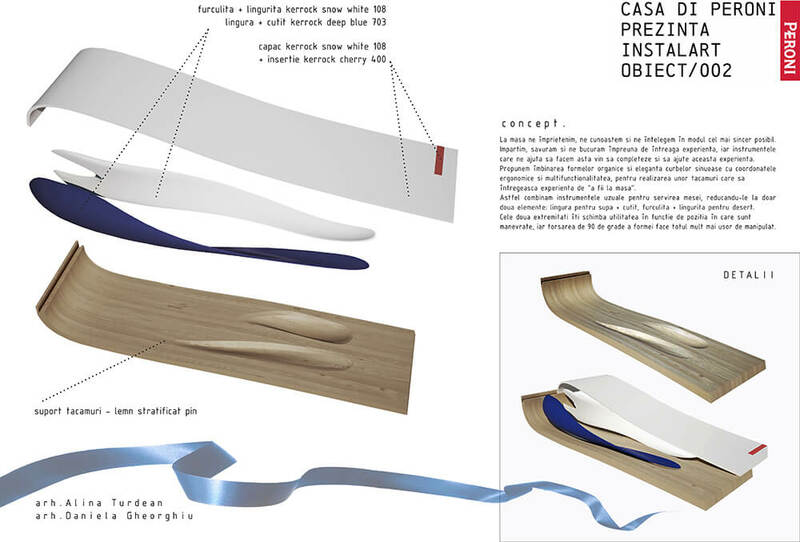 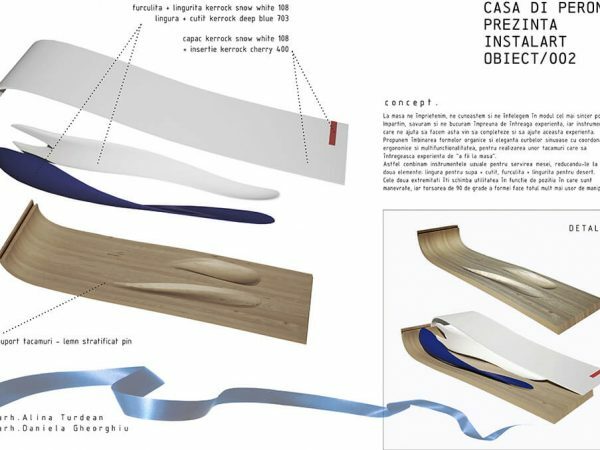 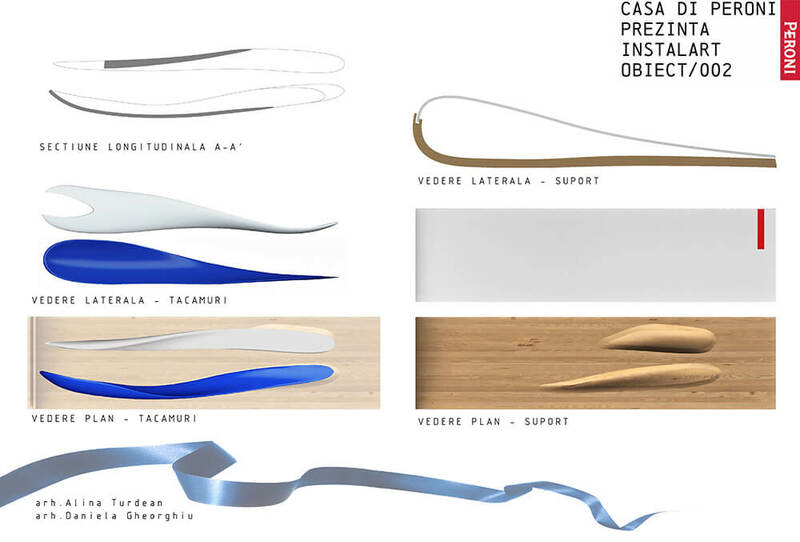 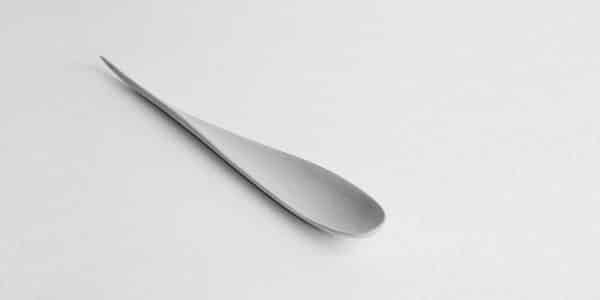 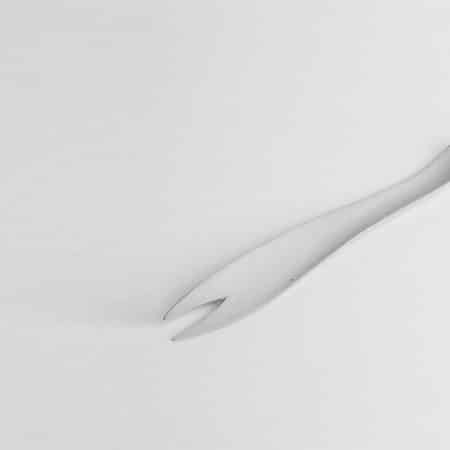 We reinterpret the usual dining tools, reducing them to just two objects: soup spoon + knife, dessert spoon + fork. 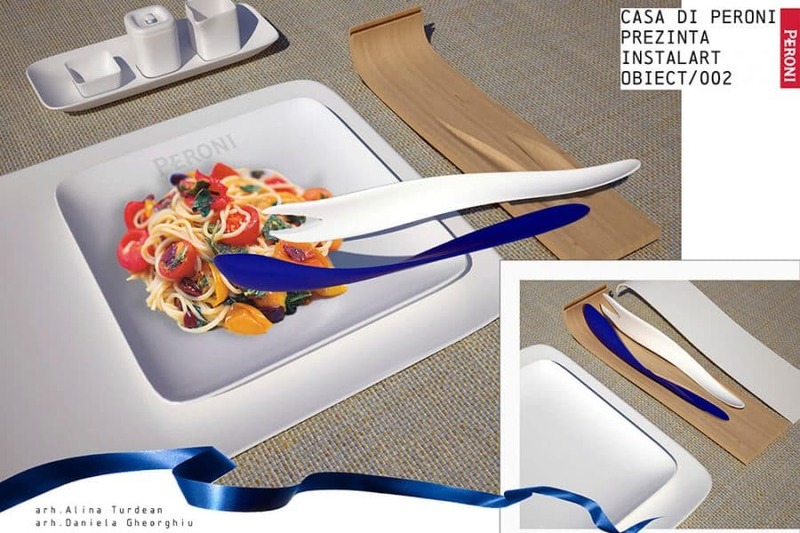 The two utensils change their purpose according to the way they are manipulated, and the 90 degrees twist enables you to make better use of them.